Let’s Face it – Linseed Oil Needs Help! Let’s face it: when you’re trying to overcoat aged, failing coatings, badly weathered galvanized steel or even rusted carbon steel, linseed oil as a barrier coating needs all the fortification it can get. Granted, modified linseed oil provides maximum wetting and penetration properties, as well as minimum curing stresses and disruption of the existing coating. But by itself, as a barrier coating, it would not hold out long against the elements (wind, rain, salt fog, sun, etc.). So how do you get maximum barrier protection out of one high-build coat of modified linseed oil? Ask for it in the specification! One purpose of a coatings specification is to be specific about what you want. High-build, properly pigmented linseed oil coatings have been providing excellent corrosion protection for 50 years when pigmented with functional pigments that provide an effective shield or barrier. Historically, once lead pigments were removed, those barrier properties have been best achieved with combinations of metallic zinc dust and other lamellar pigments, such as micaceous iron oxide and leafing aluminum. 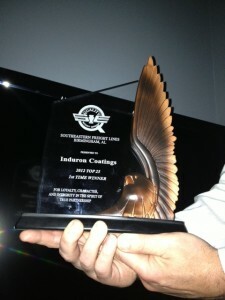 Induron is proud to have received the Award of Distinction as a Top 25 Customer for 2012 by Southeastern Freight Lines. This award is an acknowledgement of the amount of products shipped in 2012, which was a very good year for Induron. 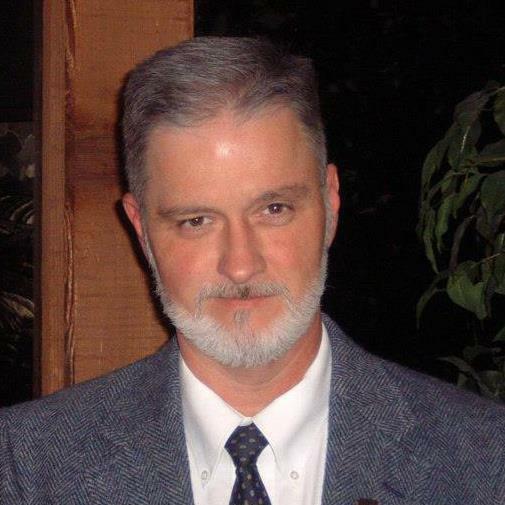 Barry Peters is both the face and voice of Induron to most of our valued customers. As the Customer Service Department Manager, Barry works with customers to ensure that orders are met correctly and in a timely fashion. He also answers a multitude of technical product and application questions. Additionally, he works with employees in Induron’s manufacturing department to streamline the flow of goods and facilitate shipping. “We’re a small company, so service is really important,” he says. “We try to offer our customers the best service available, and develop relationships with them. We have to be personal, and understand their needs. Barry has been in the paint business for more than 20 years. He started with Induron (which was then called Indurall) in 1989 as a store manager, and then became an area manager in charge of half a dozen retail stores. 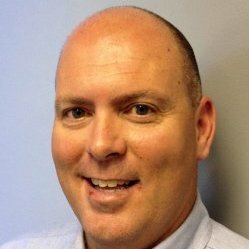 During Induron’s transition from retail to strictly industrial, Barry became our company’s very first Customer Service Department Manager. After a stint with a friendly competitor from 2000 to 2010, Barry returned to Induron, and has played an integral part in the overall improvement of morale since.